2019 is International Year of the Salmon! It’s been a hectic beginning to the year, but as we prepare for another full year of activities and events, we want to share a little bit about what were working on and what to look forward to in 2019! 350 Rail Cars a Day of Dangerous Goods! Is the Northwest prepared? There are currently three project proposals to increase the shipment of dangerous goods through Northwest BC. Vopak Pacific Canada wants to ship 240 railcars per day of diesel, methanol and propane to Prince Rupert. Altagas is already building a propane tank facility on Ridley Island to export propane and Pacific Travers Energy is planning to do the same in Kitimat. All together we could see upwards of 350 more rail cars per day of dangerous good through the northwest rail corridor. But are communities prepared? Our colleagues at Friends of Wild Salmon produces a few videos to help us better understand the concerns and risks these projects pose to northern communities and wild salmon, take a look. 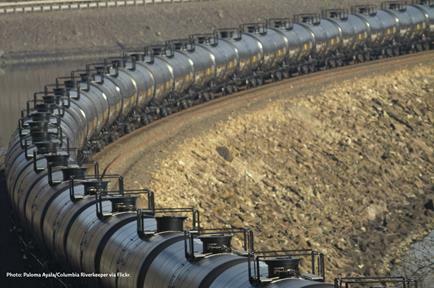 Is the Northwest Prepared for an Increase in Dangerous Goods Shipments by Rail? How Adequate Are Spill Response Measures Along the Northwest Rail Corridor? Is Prince Rupert and the Coast Prepared for a Massive Increase of Panamax Tankers? Coastal Shellfish: Scallop Capital of North America? Coastal Shellfish is changing the game when it comes to Canadian aquaculture. Their operation in Prince Rupert, B.C. is First Nation owned and operated and produces high quality scallops for domestic and international markets. They already employ dozens of people in the local area and made their first commercial sales this week, perhaps making Prince Rupert the scallop capital of North America. Read the CBC story below. It’s a new way to utilize the environment for economic growth, without putting it at risk. CBC: Introducing Prince Rupert: Scallop capital of the continent? 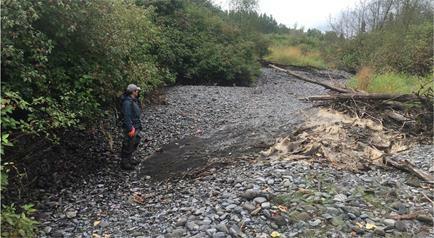 Drought in the Skeena, Share Your Stories. With record low levels of water in the Skeena River and tributaries there is concern for the survival of wild salmon and what it will mean for our communities. We want to hear your stories of drought in the Skeena, how is it effecting your life and culture. Let’s start a conversation on how we can work together and find practical solutions so we can adapt to our new reality. 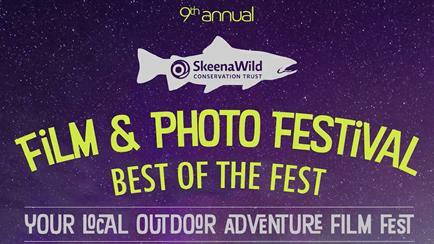 Check out our new video about the impact climate change is already having on the Skeena. 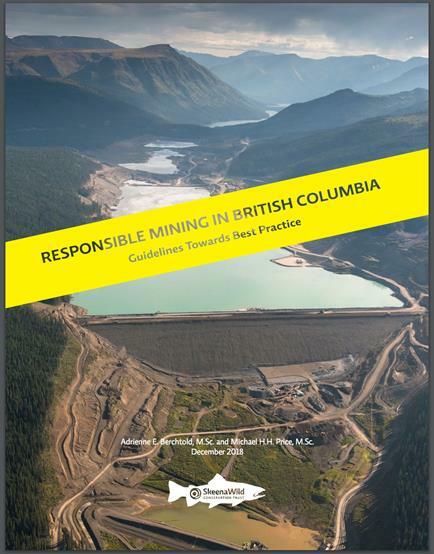 Our Responsible Mining report by SkeenaWild Conservation Trust lays out a set of principles, practices and technologies the group says separate responsible mining operations from those with unacceptable environmental and social impacts. 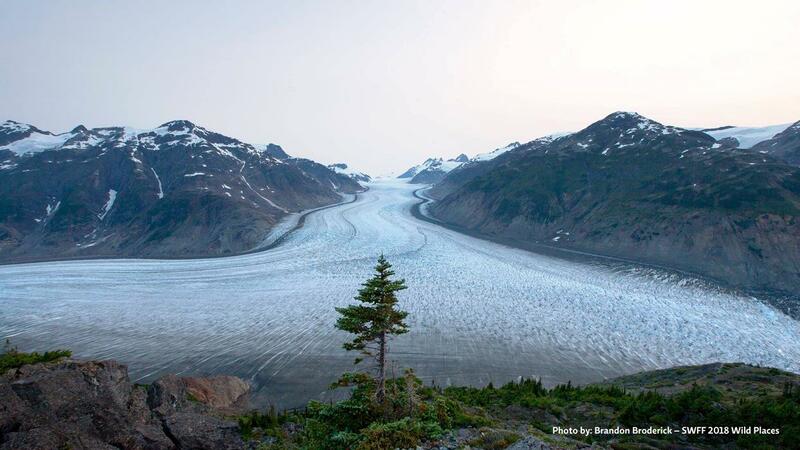 The report, written by researchers Adrienne Berchtold and Michael Price, comes at a time when mining development is rapidly expanding in Northwest B.C., raising concerns for the health of wild salmon and associated human communities. Land Use Planning with Indigenous Nations is a Path Forward. We asked governments for regional planning on pipelines and LNG facilities back in 2013, but were denied. A poorly sited LNG facility and pipeline routing issues have now undermined public trust and created division and uncertainty. New land use planning initiatives in the region could provide us a path forward. Here’s a video produced for the Gitanyow Hereditary Chiefs about the benefits of creating a land use plan and what it looks like on the ground floor. This is an article published in the Times Colonist about how we can move forward with a new approach to land use planning across B.C. Read Here: Island Voices: Land-use planning is a path to certainty. Introducing the 2019 Best of the Fest! SkeenaWild Swag, Get Yours Today! Want to show off your support for SkeenaWild? 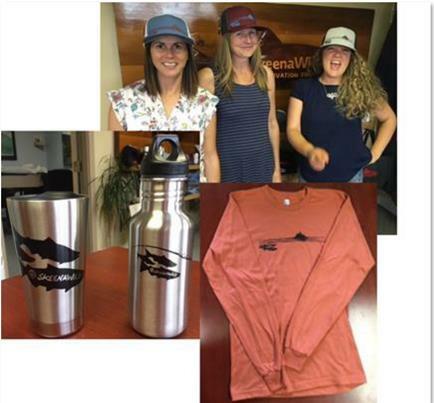 Check out our new hats, toques, travel mugs, water bottles, long-sleeved and T-shirts! The SkeenaWild online store has everything you need!